Lining Up Data in ArcGIS helps demystify map projections so that ArcGIS software users can create their maps accurately; perform accurate and precise analyses; and manage data they receive, whatever the source it comes from. Misalignment issues can arise when data is drawn based on associated projection information that is incorrect or incomplete, commonly leading people to say things like "My data is displaying in the ocean" and "There are streets going through buildings." Lining Up Data in ArcGIS will show you how to fix these and other problems. The book's author is Margaret M. Maher, who has resolved more than 16,000 cases pertaining to issues associated with map projections and data conversions during her 18-year career in support services at Esri. 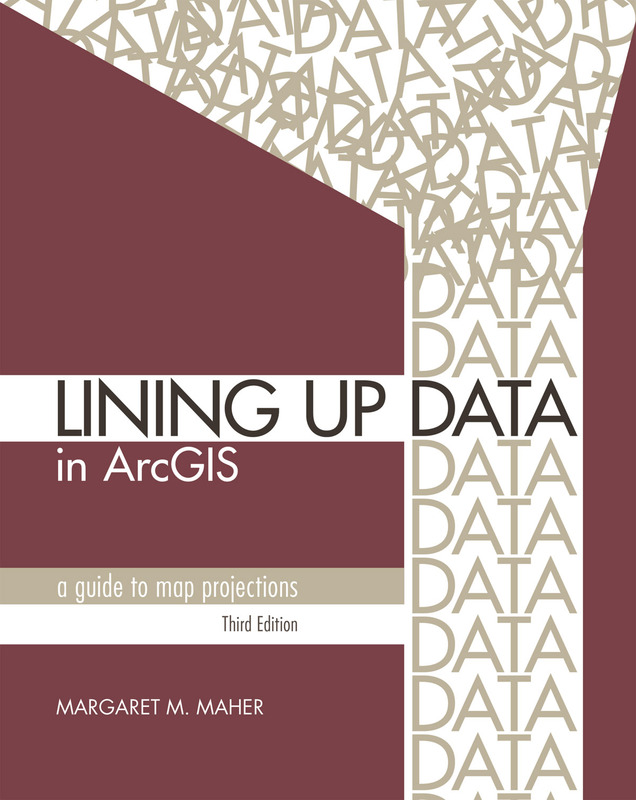 "This book is not intended for the geodesist, highly trained in mathematics, who has a profound understanding of map projections," Maher wrote in the preface to Lining Up Data in ArcGIS. "It is for those working in the field of geographic information systems and others in the process of making a map who, like so many others who have called me over the years for technical support, sometimes run into a problem lining up their data." The book's third edition includes a new chapter on working with vertical coordinate systems, a topic that's critical to scientists and researchers studying climate change and rising sea levels.